An explosion in the smartphone market over the past 3-5 years has been both a blessing and a curse for the security industry. On one hand, having a smartphone with a mobile guard app in every officer's pocket presents the opportunity for better communication, increased transparency, and reduced costs. But requiring an officer to bring their own device to work also presents several issues both logistically and legally. The State of California has led the way in defining what employers are required to do when asking officers to bring their personal phones to work. While these standards don't apply in every state or country, employers should be aware of the standards currently being enforced in California, because history tells us that most U.S. states that favor the employee will be following suit. Personal cell phone use for any work-related calls is no different than unauthorized overtime. In fact, it may be worse because it applies to all California employees, exempt and non-exempt. If an employee in California uses a personal cell phone for business-related use (i.e., “in direct consequence of the discharge of his or her duties or his or her obedience to the directions of the employer,”), a California employer must reimburse the employee, even if the employer prohibits the employee from using his or her personal cell phone for business use. The California Court of Appeal in Cochran v. Schwan’s Home Services, Inc., 228 Cal.App.4th 1137 (2014), resuscitated a putative class action lawsuit filed on behalf of 1,500 customer service managers who were not reimbursed for expenses incurred as a result of work-related use on their personal cell phones. This is so even if the employee incurs no additional expense due to the work-related calls, such as if the calls are within the employee’s plan for unlimited minutes or the cell phone bill is paid by someone, other than the employee! But how do you calculate “an undefined reasonable percentage?” Unfortunately, the Court didn’t answer the question, but said, “because of the differences in cell phone plans and work related scenarios, the calculation of reimbursement must be left to the trial court and parties in each particular case”. What Are The Solutions Available to Employers? 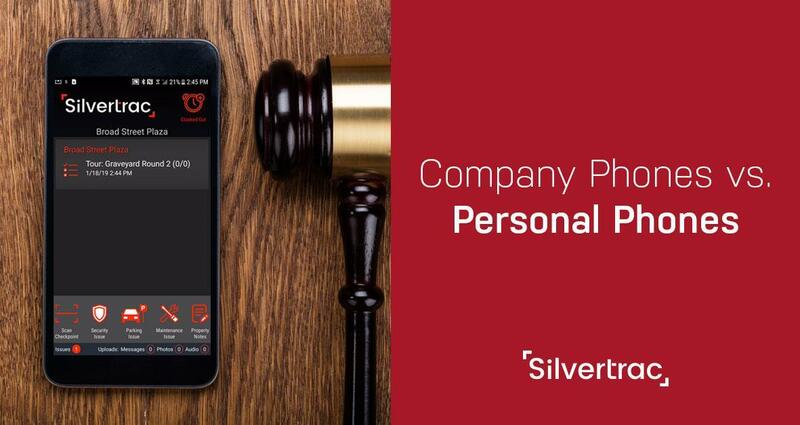 Guaranteed compliance with the law and better protection of Company’s intellectual property, which are put at risk by “Personal Owned Phones” policies. If the employer owns the phone and maintains appropriate policies, it will go a long way toward enforcing and monitoring cell phone usage. You'll know your employees have the proper tools to communicate and report when they're on the job. The cost. Although data plans and cell phone prices have dropped considerably over the last decade, it's still not cheap. You also have to worry about the damage careless employees have on the devices themselves. It's not uncommon to see company phones damaged, abused, or stolen. Finding a spot to store the device on post can also be a challenge. Option 2: Pay the employees’ entire personal cell phone bill. Guaranteed compliance with the law and the cost is relatively easy to compute. The cost of going this route could get extremely high. Having no protection of company’s intellectual property. This would require employees to submit any proof that the proportion of work to non-work calls exceeds this fixed amount. Less administrative support and response to employee if the fixed amount is exceeded. Makes it easier to plan and estimate costs. Employee has an incentive to use their personal cell phones for work-related use. Opens the door for discrepancy between the employer and employees definition of "some reasonable percentage"
Option 4: Establish a policy for employees to prove their cell phone usage. With this method you would have to calculate the average proportion of time spent on work calls and pay that percentage of the total bill for that period.. Averaging is probably the most accurate method to calculate the “reasonable percentage" an employer is expected to pay. The employer only pays for what they are "using". In other words, the employee isn't making money by using their phone. The time it takes to compute the reimbursement to each employee. Option 5: Require employees to submit expense reports to justify phone usage. Redirects responsibility for providing proof of work-related phone usage so that employees can be compensated for cost of such usage, to the extent the actual cost can be determined. Obviously the most accurate way to track and pay work-related cell phone usage costs. Administration costs increase and not practical when employees use unlimited plans. As you can guess, the cell phone usage is only the tip of the iceberg, because it can easily be extended for laptop computers, tablets, Internet charges, etc. which can be the subject of employee compensation. All of which could theoretically be the subject of compensation under the Cochran case. We highly recommend you check with your labor and employee relations attorney as there may be other parts of the case to be considered. That being said, in California, we have many other issues to be aware of, i.e. heat illness awareness, meal and rest breaks, overtime, and others will appear to make our business lives just a little more exciting! Regardless, employers need to prepare for the worst. These things can be handled on a case by case basis, but it could be the next arrow in the class-action quiver. Want to learn more about Steve and his work with Arthur McBeth & Associates? Visit ArthurMcBeth.com or call (805) 823-535. 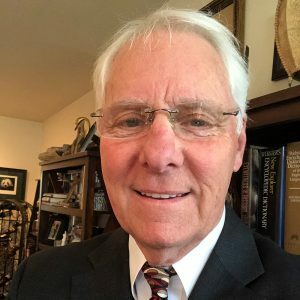 Steve’s security experience spans 16 years and started with very small local security companies to what is now the largest security company in the US, Allied Universal, where he managed a $50M security organization for Allied Universal and now brings that consulting expertise to Arthur McBeth and Associates which he co-founded with Carrie Parker.